Everyone knows that the Chianti Classico wine region is the centre, oenological and in many other respects, of Tuscany. 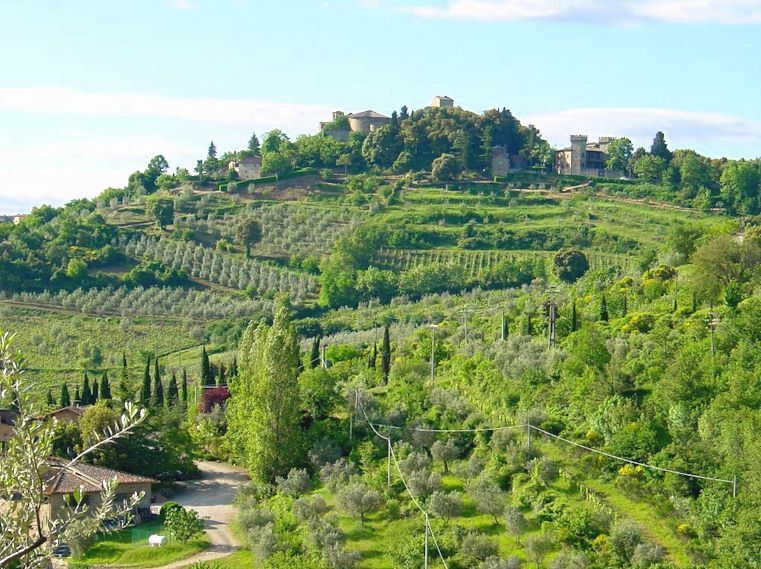 It is formed by the beautiful Chianti hills and valleys lying between Florence and Sienna. And the centre of Chianti Classico? That’s the charming little town of Greve in Chianti! 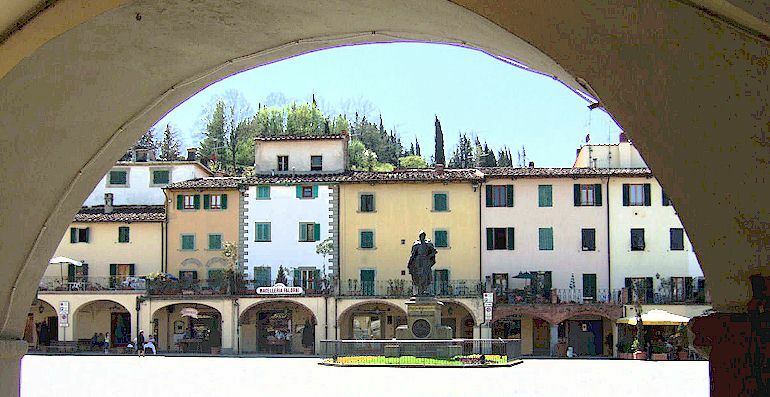 Greve, as it is usually known, is the largest municipality in Chianti and includes a number of villages other than Greve itself – Panzano in Chianti, Strada in Chianti, Montefioralle, Lucarelli, Lucolena, San Polo and Il Ferrone, among them. 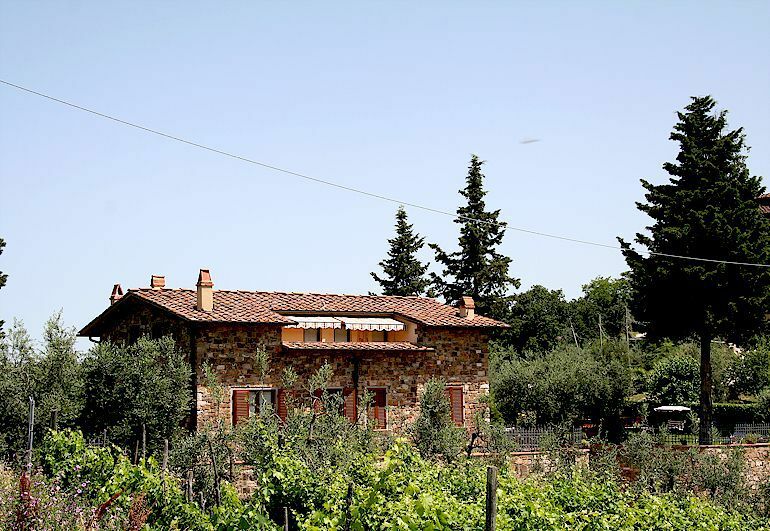 Greve in Chianti has been recognised for more than 20 years as the primary Chianti vacation destination and one of the most popular in Tuscany. And with good reason! In the hills around the town, as well as within Greve itself, there are numerous beautiful vacation accommodations in the form of villas, farm houses, apartments and B&Bs, the vast majority of them renting at extremely economical rates. 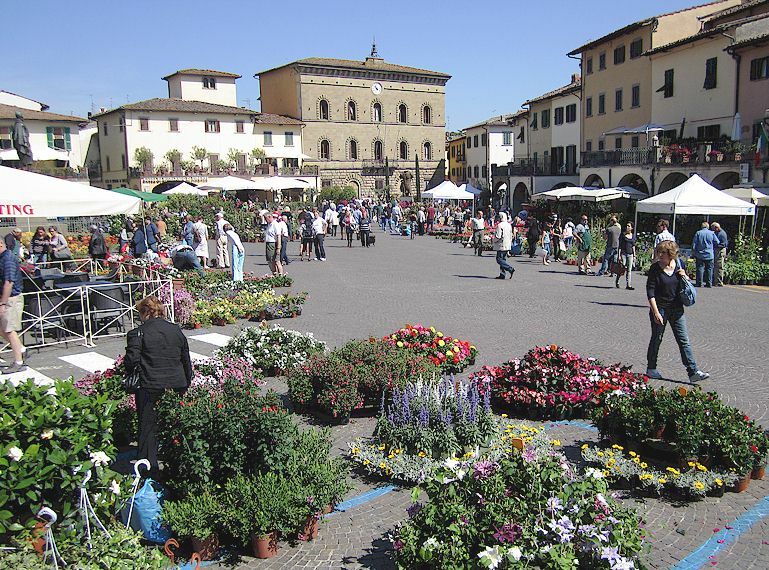 Greve in Chianti is about an hour by bus and less by car from Florence, and about the same distance by car to Sienna. Both cities are accessed via the famous via Chiantigiana which is one of the best motoring roads in Italy. To the east of Greve is an area packed with castles, both ruins and inhabited, plus several famous abbeys. Even the beaches of the Maremma are only a couple of hours drive away. And of course the entire zone is packed with vineyards where you can taste and buy the wines produced by the property. Just look for the “Degustazione” signs as you drive through the countryside. The town of Greve in Chianti is very attractive and worth a visit even by those just passing by along the Via Chiantigiana. The main piazza, Piazza Matteotti, is famous for its arcaded perimeter and its triangular shape. A good mix of shops, bars and restaurants makes the piazza a great place for a relaxing stroll and lunch. The church of Santa Croce on the piazza. 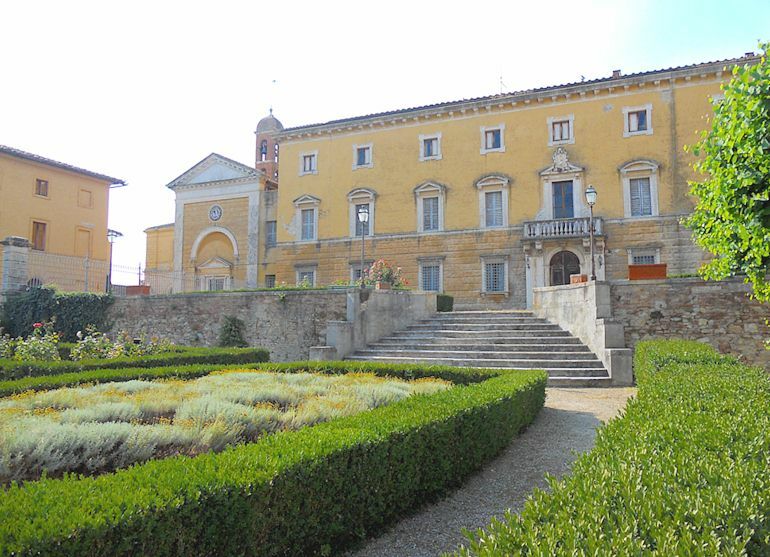 The Museum of San Francesco. Greve in Chianti public swimming pools. The fortified mediaeval village of Montefioralle (1.5 km). The romanesque Pieve (parish church) of San Cresci (2 km). The nearby castles of Vicchiomaggio and Verrazzano, and the Villas of Uzzano and Vignamaggio. 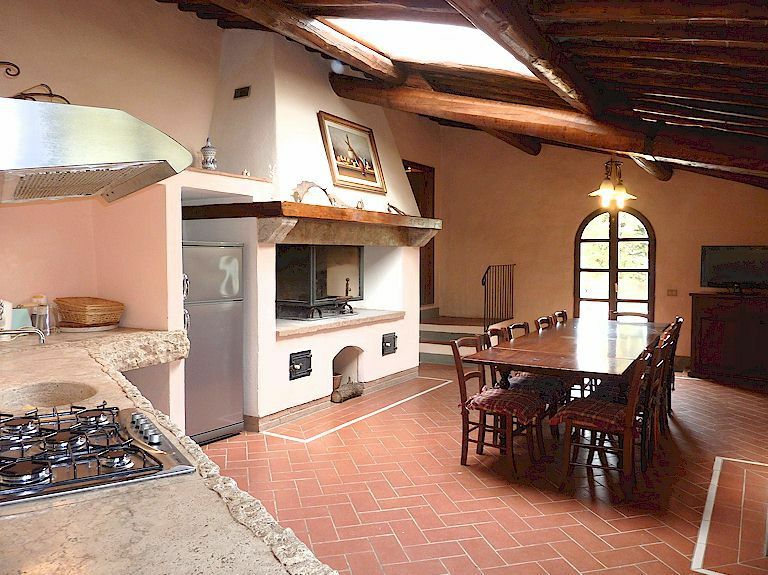 Click here for an excellent range of owner-direct vacation accommodations in and near Greve in Chianti. 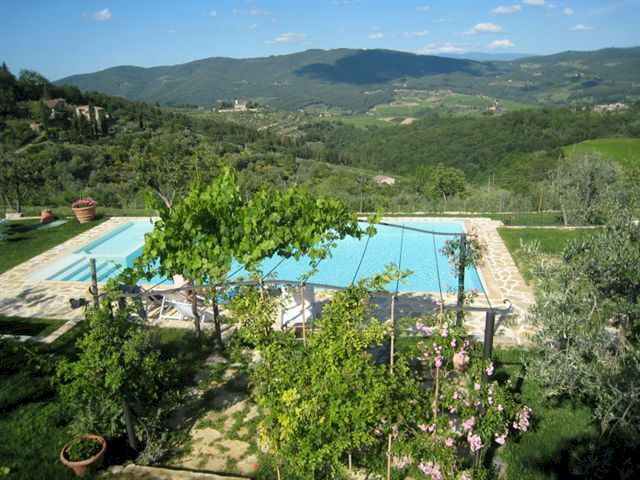 « What is an agriturismo in Tuscany?